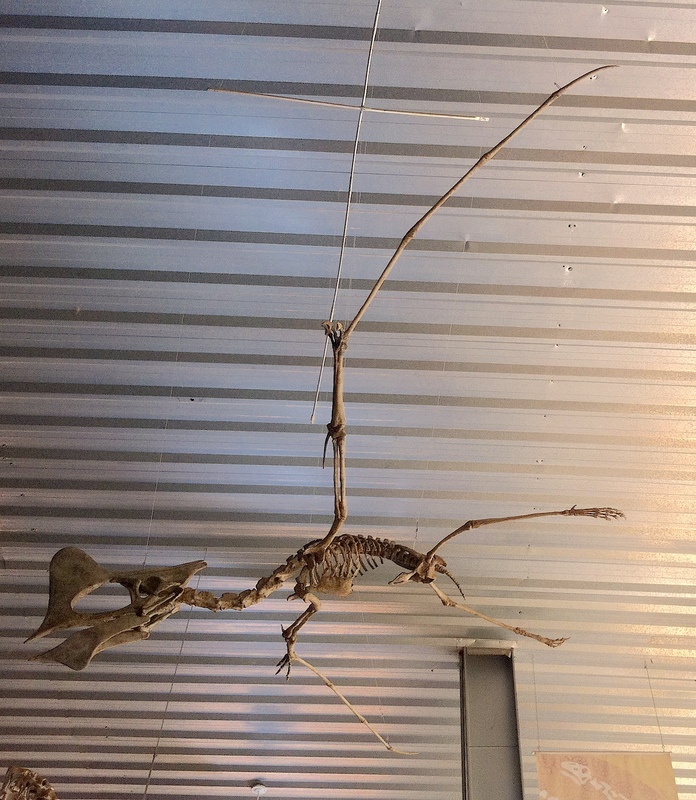 This presentation describes in 60 pages the process of making Imaginary Pterosaur #7 Tapejara wellnhoferi. It contains more images than text and is a concise graphical version of the blog posts that describe the process. Click on the image below to download it. This is a 93MB PDF so it might take some time to download. After a long time without any posts, I’m back with news. The Tapejara wellnhoferi replica I made a year ago was finally placed in a public exhibition hall at the Peiropolis Dinosaur Museum, in Uberaba, MG, Brazil. It spent the last year locked up in a lab. I returned last week to make some improvements and to help install it. 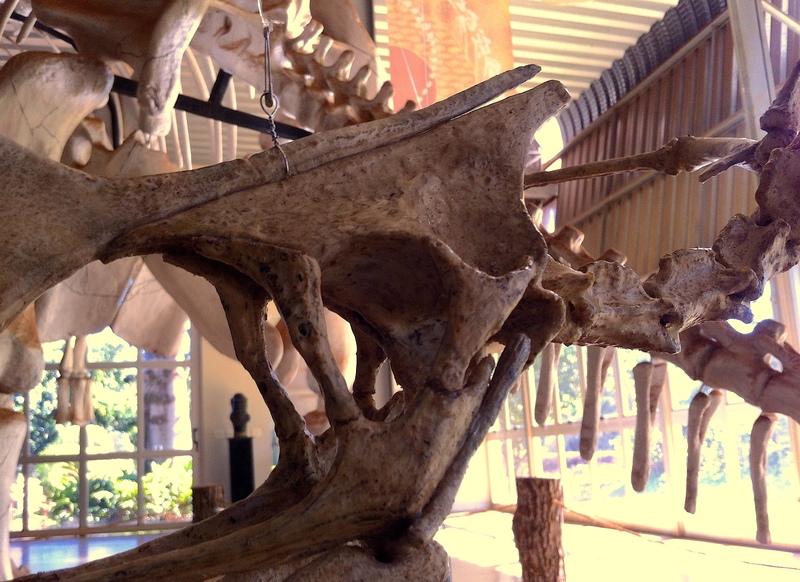 The museum is actually a complex consisting of several buildings, a park, research labs. It’s situated in a small village. The old train station also became a museum which contains dinosaur bones, and dinosaurs walk around freely in the park, as you can see in this photo. So here I cut the sternal ribs that were connecting the dorsal ribs to 4 gastralia bones. I then proceeded to remove the excess rubber that accumulated in the joints because of the silicone rubber I used to attach them. I had to use scissors and a knife, and it took several hours. The coating reduced the glow a significant amount. 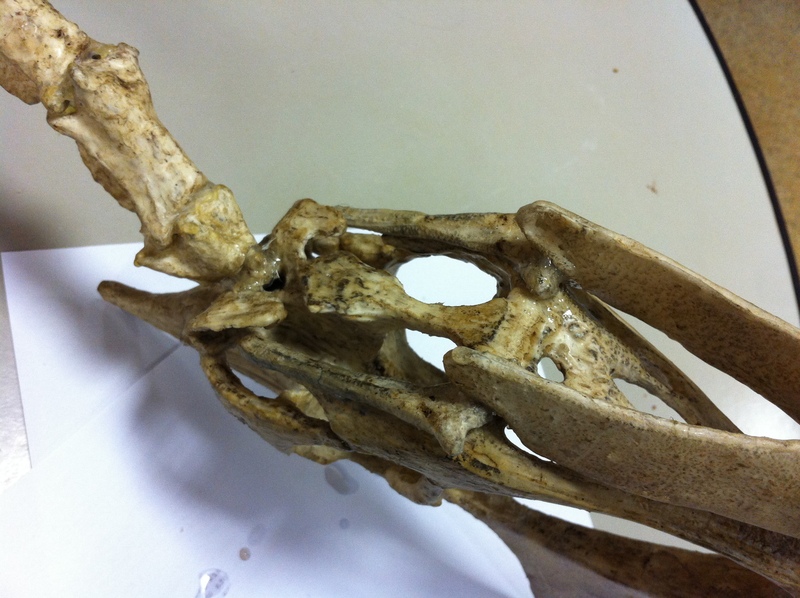 I also darkened the bones near the joints to increase the bone contrast. 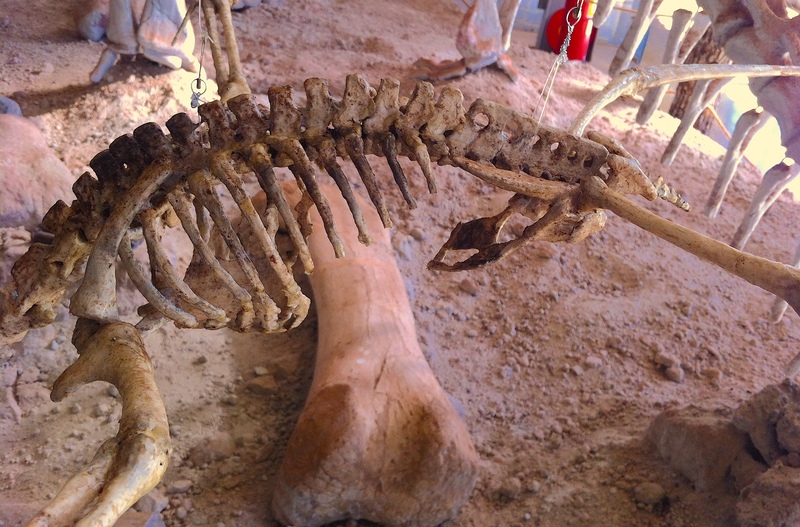 The skeleton had to be placed in the main exhibition hall, which has a lot of external light, inadequate lighting, an aluminum ceiling 6 metres above and three giant replicas. The Tapejara practically disappeared among them. 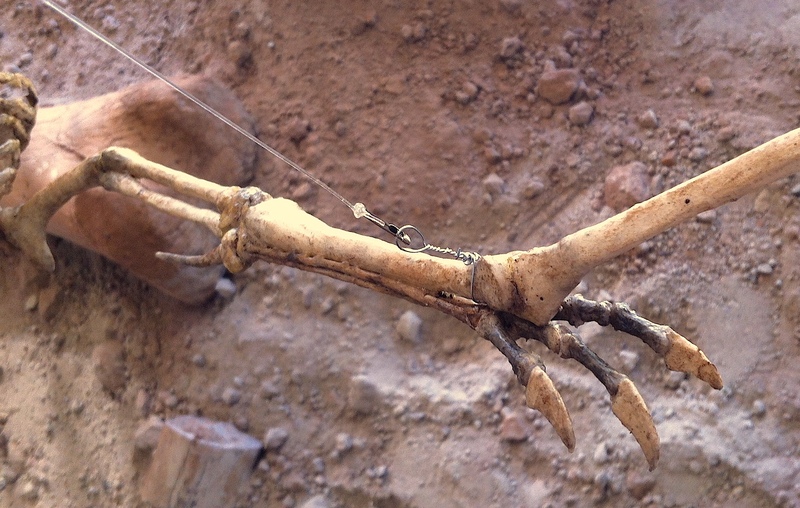 The skeleton was suspended from an aluminum structure made from antenna cylinders. That structure hung from the ceiling. 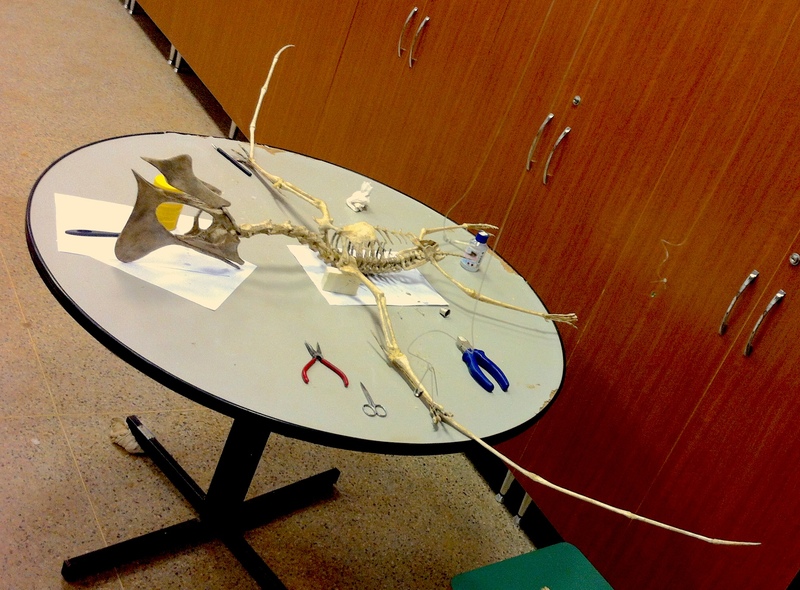 I used thin wire and safety pins to connect the skeleton to the nylon fishing lines that were used to suspend the skeleton. 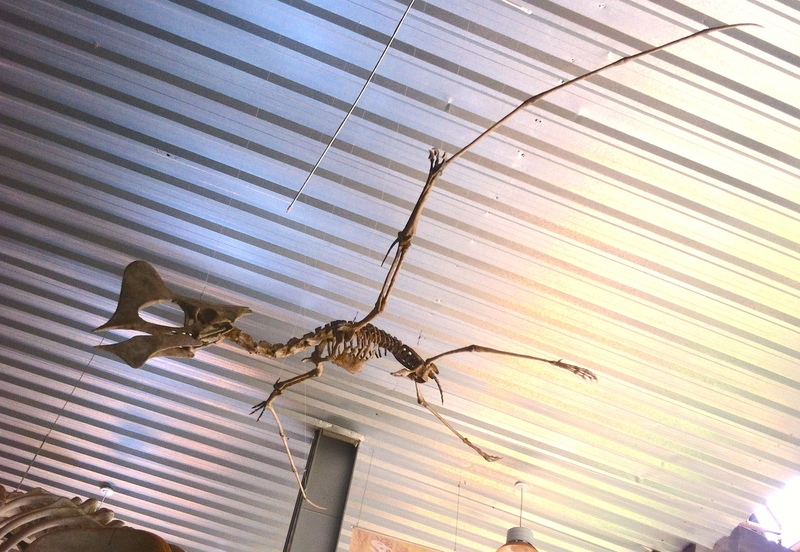 Paleontologist Agustin Martinelli bravely climbed the six metre tall ceiling, crawled over the thin aluminum surface and attached the structure in place. Try to find the Tapejara among the other monsters. Here are some photos of the final result. 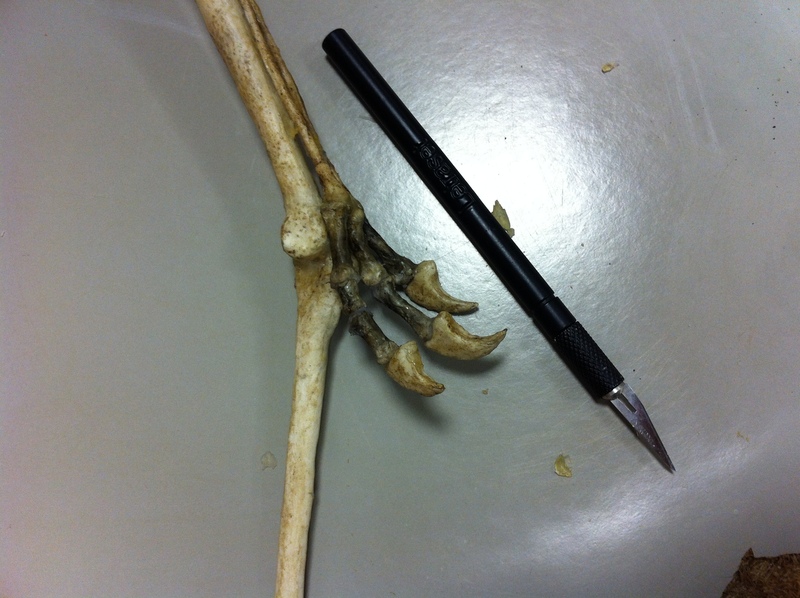 Here you can see the antenna structure that suspends the 300gram skeleton. I made a presentation describing the entire process of researching, designing, building and installing the Tapejara. I will publish it here soon in the next post.